Android P is going through its Developer Preview stage, and as of now, we have three Developer Previews of the latest Android version. The Developer Preview 4 is yet to arrive, and as per the schedule, it will arrive in a few days. Anyways, with the Android P Developer Preview 3, Google added some new emojis to Android P. There are 150+ new emojis added in Android P and at the moment, you will be able to find and use these new emojis only from the official Google Keyboard or GBoard, since other keyboard applications need to update their Unicode version in order to get these new Android P Emojis. If you don’t have a Google Pixel to experience these new emojis, then there is no need to worry as the developers at XDA found a way to get Android P Fonts and the Emojis on any Android smartphones. The only requirement for this is that you need to have Magisk installed on your smartphones. If you have it, then all you need to do is download a magisk module and install it in Magisk. First, download the latest Magisk ZIP file from the official XDA page. As of now, the latest version if V16.0. 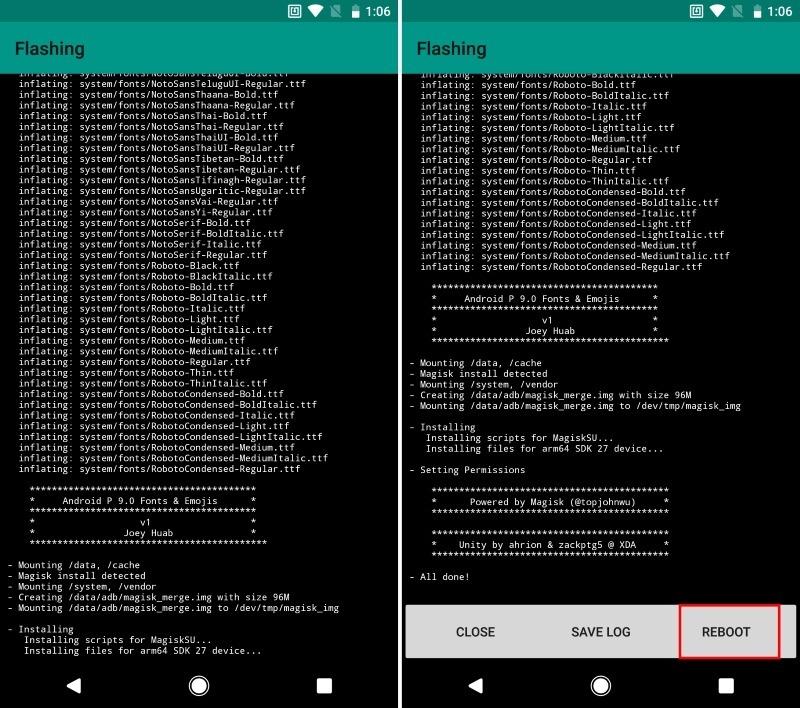 Once downloaded, go into the TWRP recovery and then, tap on ‘Install.’ Now, select the Magisk ZIP file that you just downloaded and then swipe right to flash it. 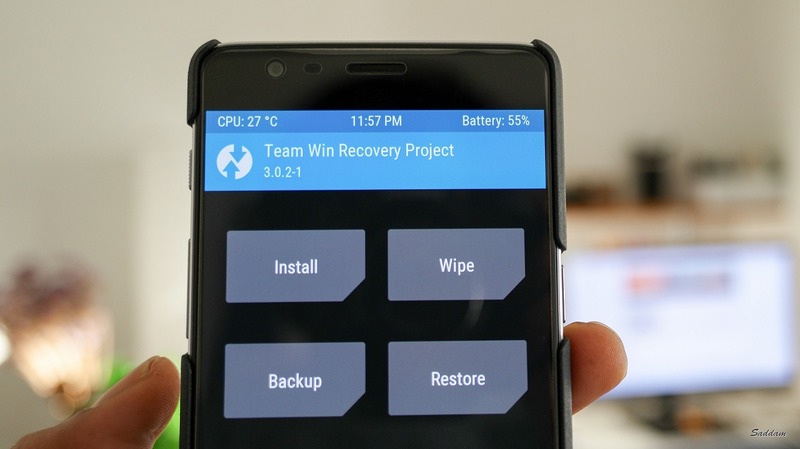 In a few seconds, the process will finish, and now, you can simply reboot your phone. Once the phone reboots, you should see the Magisk Manager app in the app drawer. If for some reasons it is not there, install it manually by downloading the latest APK file from here. CHECK OUT: [FIX] SafetyNet Failed: CTS Profile Mismatch Errors – Full Guide! So, these few steps will help you in installing Magisk on your Android phone. Now coming to the topic of this article, i.e., Getting Android P Font and Android P Emojis on any Android device. You need to download any of the Magisk Module ZIP files from the button below. There are multiple file links on the download page, and it depends on you whether you want to have only the Android P Emojis or also the Fonts. Tap on the ‘+’ button and then, select the ZIP file that you just downloaded. As soon as you tap on the ZIP file, Magisk will start installing the file and once done; it will show three options – ‘Close,’ ‘Save Log,’ and ‘Reboot.’ Just tap on Reboot and once your phone boots up, you will see the new set of emojis in your GBoard. So, that was all about ‘How to Install Android P Fonts & Emojis’ on any Android phone. If you get stuck on any step, then make sure to comment below so that we can help you. Stay Addicted to Android!